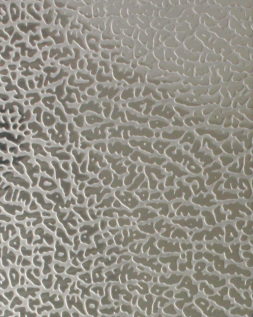 The Emboss sheet is processed by Embossing press ,then the surface would present as the concavo-convex pattern. We can offer you various of patterns, such as: LINEN, SQUARE, ELEPHANT-SKIN, FREE PATTERN, and so on. Width within 1240mm in both coil and sheet.the thickness from 0.4mm-3.0mm.There are BA embossing and 2B embossing. The main advantages: durable appearance, durable use, durable attrition, and a excellent effect for decoration. Use: It mainly used for Architecture decoration, Elevator decoration, Industry decoration establishment decoration and other stainless steel series products.